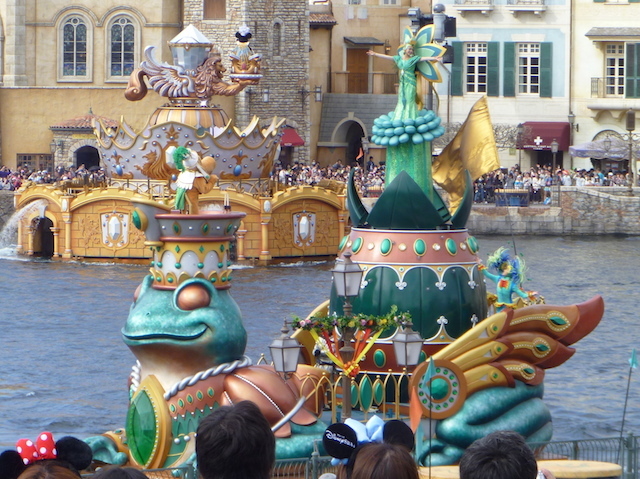 In my option Mythica at Tokyo DisneySea is one of the best Disney shows (or parades?) It’s certainly on par with Fantasmic at Disneyland in California and Illuminations at Epcot in Orlando for repeatability. 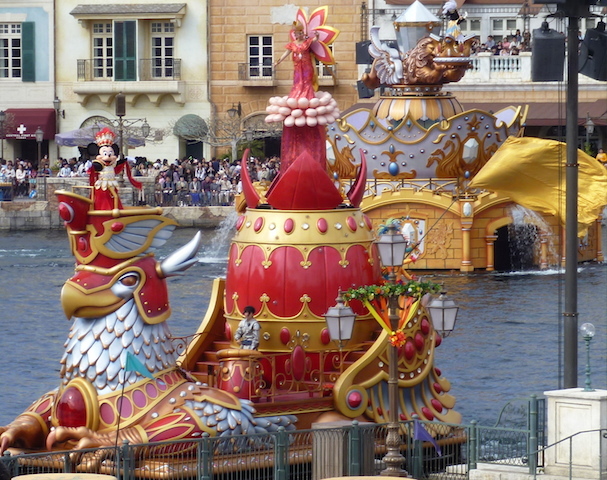 Tokyo DisneySea itself, is built around a lagoon called Mediterranean Harbour, with the “active” Mount Prometheus looming above it as the park’s focal point. 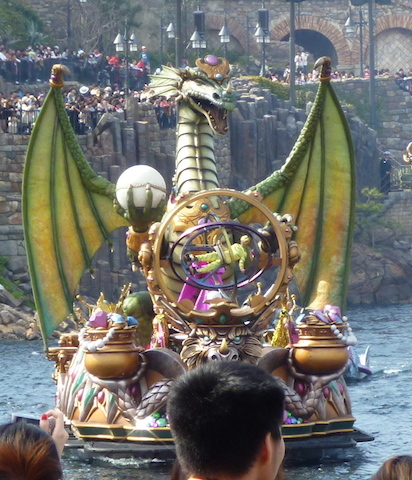 In the afternoon, around 3pm (check your times guide) is a daily showing of Mythica. Out onto this harbour come a number of massive fantasy (unicorn, dragon etc) based floats. Along with these are with jetskiiers, fighting style kites, daytime fireworks and some of your favourite Disney characters on the floats. All timed to music and a narration – its quite a spectacle. I believe there are two versions, an abbreviated rainy day version and a fine weather version. 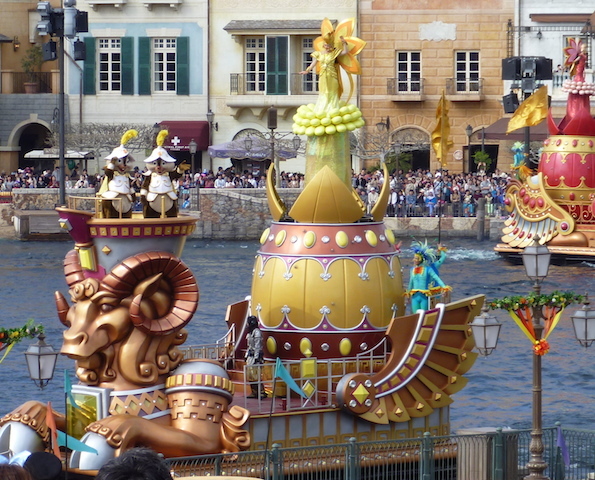 We were lucky enough for the weather to clear enough to see the fine weather version on our second visit to Tokyo DisneySea and the colours of this show are dazzling against the very pretty Mediterranean Harbour background! In terms of viewing spots, there are loads of viewing areas all around the lagoon and we certainly didn’t have any issue finding a good location around 20 minutes prior to show start. As the floats are pretty large, there isn’t too many issues not with being able to see. “A front row” isn’t really necessary – more of a concern is where to look as there is simply such a lot going on. 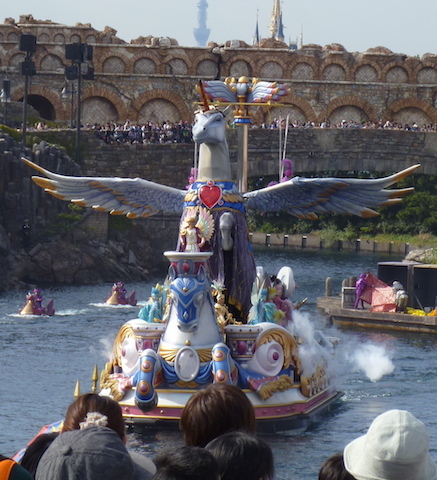 I would put Mythica onto the “do not miss” category if you are at Tokyo DisneySea simply because it is so unique. « You are what you eat – Egg Salad on Wheat – OMG! 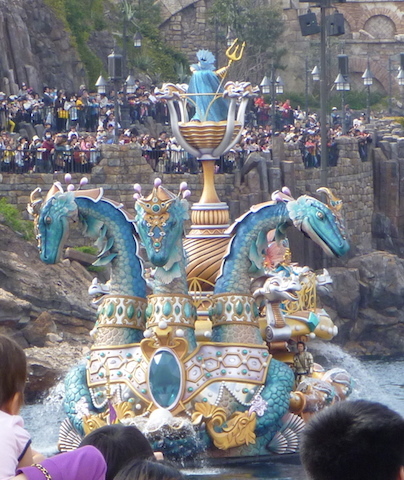 I love Tokyo DisneySea, hope to go back sometime. I absolutely adore Mythica — I’m so distraught that it’s ending in September as I used to visit TDS just to watch that show some days! ;_; I’m glad I at least have the soundtrack and some plush keychains to remember it by, lol. Oh thats very sad that its finishing in September, I loved it! Do you know if they are replacing it with something else? It was so unique and beautiful. I’m really sad about it, too. 😦 I’m not too sure if they’re replacing it, actually. I hope it’ll be something just as amazing if they do, though. I really hope so, it was so unique, I adored it!